Welcome to Cam's Coffee Co! We were founded two years ago by our son Cam when he was 8 years old as a way to navigate his life with a Traumatic Brain Injury. He started selling coffee as a hobby to help work on his physical and cognitive challenges. 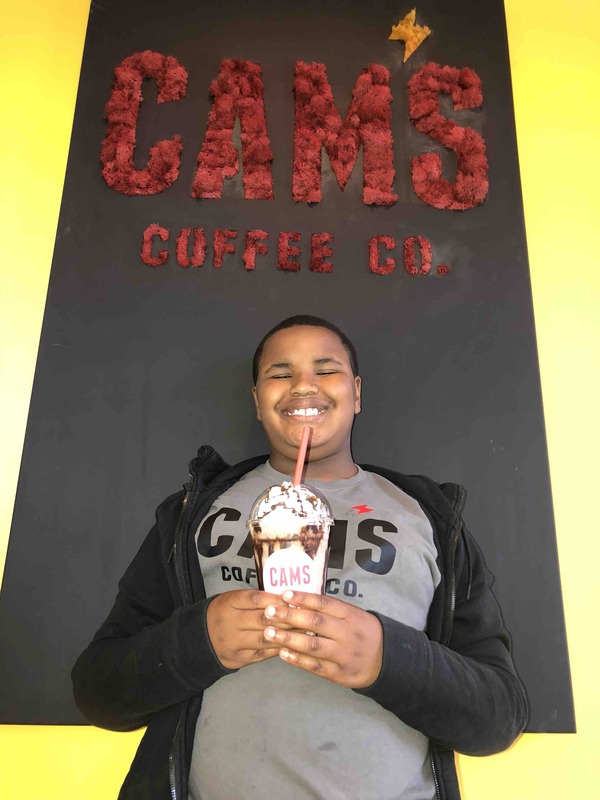 One day while serving coffee to customers, Cam looked up at his mom and said, “Mommy, I want to help people like me.” How could we say no to such a selfless request? Cam’s compassion and thoughtfulness of others is a hallmark of his personality. Today, we've built a small online coffee business, coffee pop-ups and our first dedicated coffee shop through our own hard work and investments. Best of all, we've hired, empowered, trained and positively transformed 6 part-time employees with developmental and intellectual disabilities through our Everyday Hero Program. While we have an incredible community of fans and friends, we've been the primary sole investors (more than $10,000) in our business and put in thousands of hours to make Cam's dream a reality. We've got the vision, skills, drive, commitment and proven track record to succeed. We have been fortunate enough to raise 10k of our 19k goal. So, here's where YOU come in- We truly cannot continue to do this without your support. Every donation helps further our impact and reach our goal of kiosk space that employs 6 individuals with disabilities - our Everyday Heroes!